Behind every fabulous wedding are rigorous preparations that involve a great number of resources in order to come up with a successful one. Without a source of inspiration or a reference of some sort, the things involved during the wedding planning process will be quite difficult to deal with. A magazine template, such as a wedding magazine, is a great tool that can actually give great help and information about all the things that involve weddings. Through this reading material, all those who are involved in the wedding preparation will be informed of all the things that should be done in order for a wedding ceremony to be successfully carried out. A wedding magazine may contain a lot of topics on bridal gowns, wedding menus, wedding save-the-dates, wedding invitations, budgeting, hair and makeup, advice, and so much more. Wedding magazines would also often contain information on the latest wedding trends that couples and wedding planners or organizers may want to consider on following. 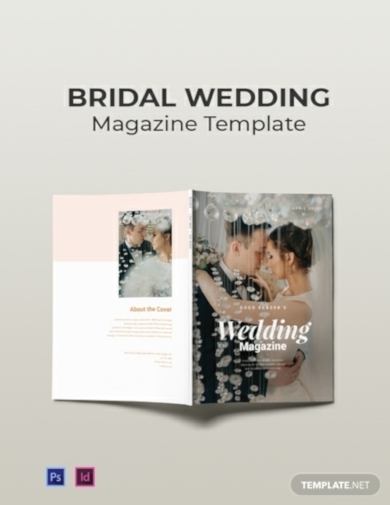 In this article, we have provided you with an excellent wedding magazine template that you may use should you want to create your own. We have also provided marvelous wedding magazine examples where you can get some valuable inspiration as you create your own. Do you want to create a magazine for weddings? Here is a template that you can make use of. Through this template, you will be able to easily feature articles related to various wedding preparations and wedding essentials. You can easily layout images of event locations, popular wedding inspirations, couture wedding gown designs, and other matters and things that will be helpful for couples during their wedding day. Worry not for this template can be conveniently downloaded and customized using Adobe Photoshop and Adobe InDesign. This template highly gives priority toward high-quality content that will enable you to effectively highlight the message you wish to relay to your target readers. Do you want your wedding magazine to be a source of wedding planning ideas and advice? 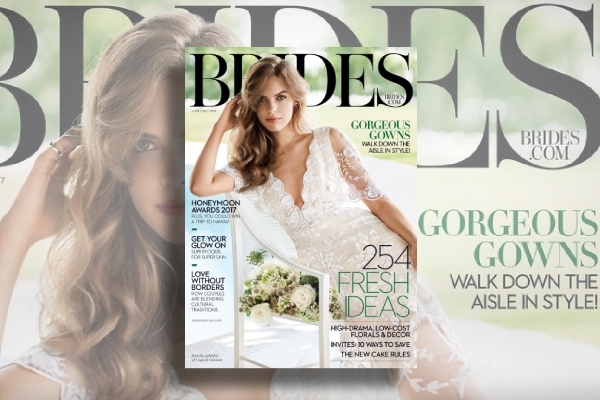 Then get inspired by this Bridal Guide‘s wedding magazine issue. It features basic wedding-related topics such as wedding gowns, best bridal budget buys, and other wedding budgets. Aside from that, it also contains wedding advice such as how to avoid the drama and handle the stress that comes from families and in-laws, ways on how to make your day extra special by dazzling your guests, and a guide on how you carry out stunning ideas from the wedding ceremony down to the wedding reception. 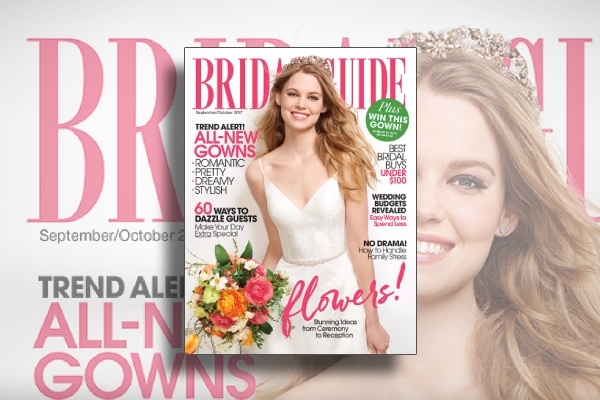 If you want your magazine to be an all-in-one source for various wedding topics and trends, then get inspired by this wedding magazine issue by Brides. Just like any other wedding magazine, this magazine example contains various wedding planning ideas and advice that readers can really find informative and inspiring. But the best of all, this contains photo galleries that consist of images of marvelous wedding dresses, images of real weddings with wonderful themes, wedding decor inspirations, and other wedding-theme ideas. You have to make sure that the contents and topics that you will include in your magazine are something that brides, grooms, and all the people involved in the wedding will be of interest to them. 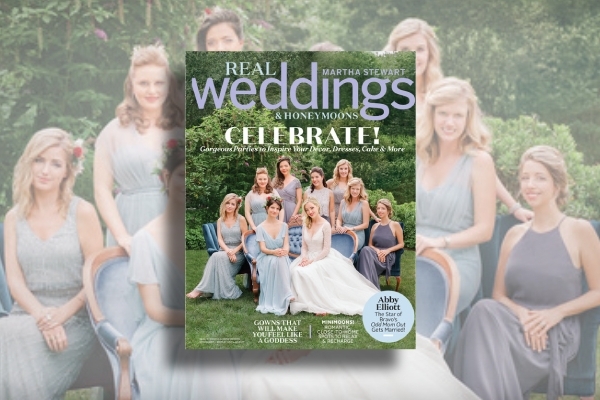 Inspire your readers to finally start their wedding planning and preparation with the use of a wedding magazine that is just like this issue of Martha Stewart Weddings magazine. Make sure that you create and design a wedding magazine that invites and encourages soon-to-be married couples with a myriad of ideas for wedding dresses, wedding invitations, wedding cakes, venue decorations, and more. In addition to that, always make it a goal for others to have wedding planning and preparation that is easy and fun for everyone else. 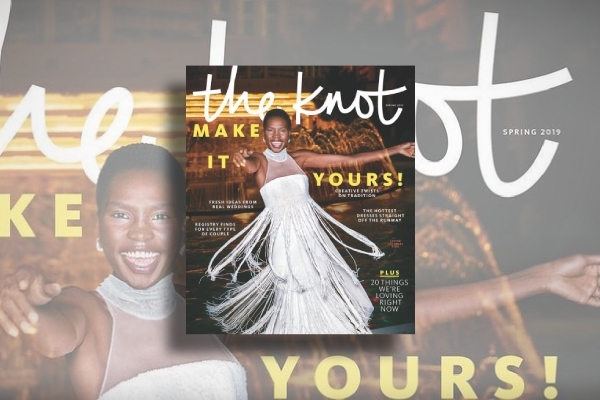 Make your wedding magazine be the largest and only source for the best wedding news and inspiration similar to this magazine example, The Knot. Make sure you will keep your readers on top of trends and plan out a wedding that will be totally and entirely about them. By helping your readers navigate every single wedding planning detail, you can easily deal with your wedding no matter how big or small your plans for it might be. Among the very helpful details that you might want to include in your wedding magazines are wedding checklists and budgeters that will keep you constantly on track of your expense. We hope that, with the help of this article, it will now be possible for you to come up with your own wedding magazine that will make your readers get lost in thousands of inspiring wedding images, from the gorgeous gown trends to the modern hair and makeup styles and jaw-dropping venue decorations.